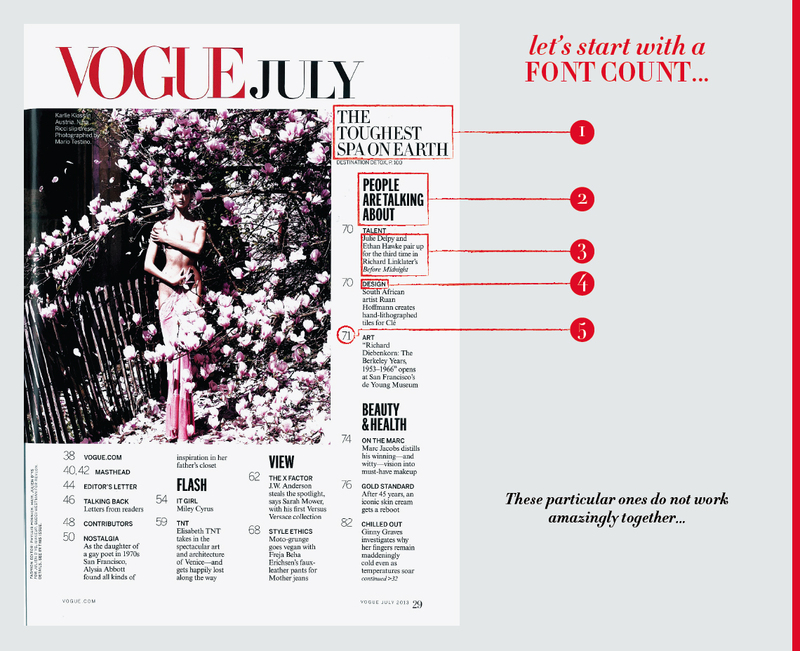 I found this article whilst carrying out further secondary research into the layout design of Vogue. 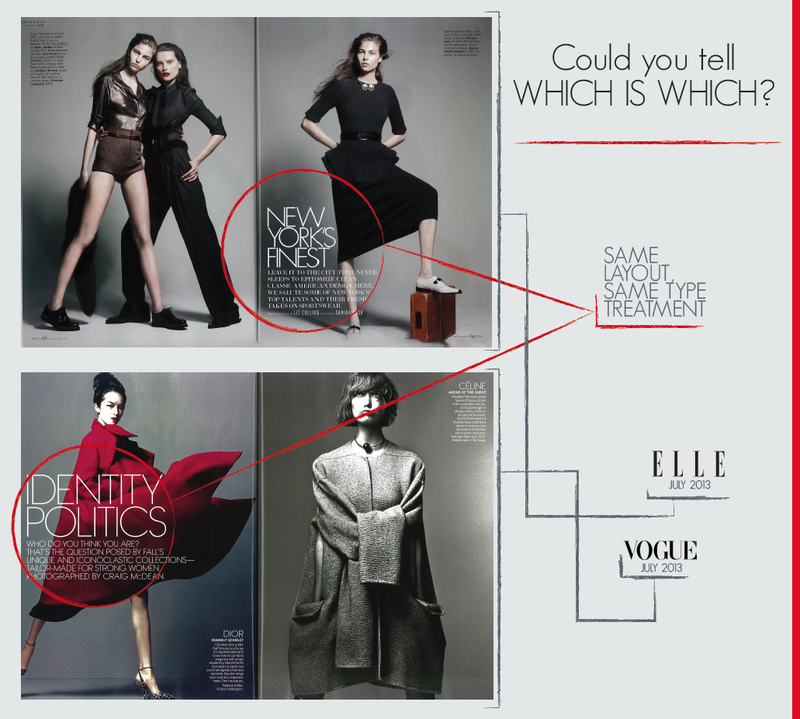 New York based graphic designer, wrote an article on her blog of a comparison between two different editions of the cover, and of the first 2 pages of the magazine (contents, and first double page spread) analysing the typefaces used, colour scheme, photography and art direction, and how in some ways Vogue are 'copying' Elle's and Vanity Fair's layouts. I found the minimal differences quite interesting, and whilst carrying out research on cover and layout have noticed the same thing for international editions, especially those such as Australia and the US. From this I would like to carry out primary research into the international editions I personally own, to try and analyse differences/similarities in layout across different countries. Yes they did. 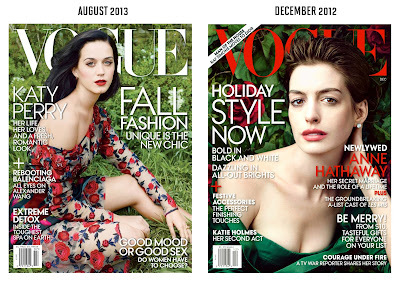 This cover looks like an almost exact copy of their December 2012 issue with Anne Hathaway. 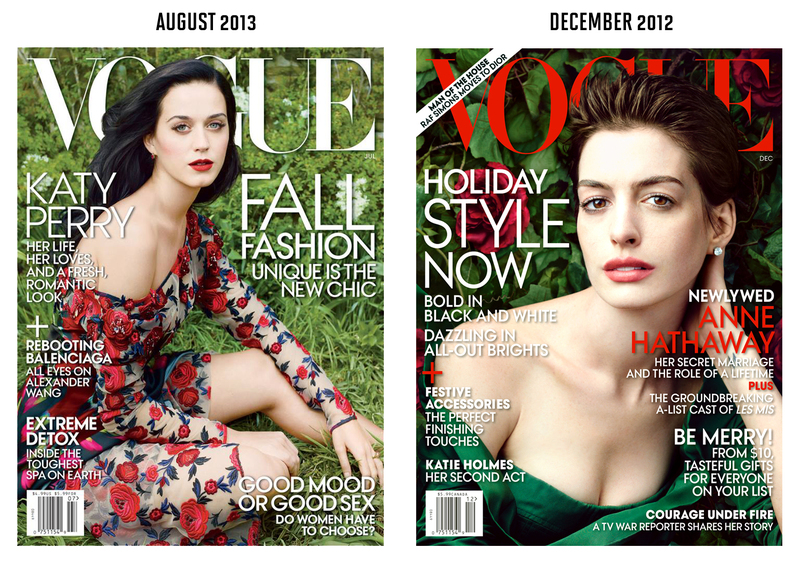 Come on, I know it’s summer and that this is a small issue but recycling a December style for July is really not the way to go… The color scheme is the same, green, pretty red flowers, that weird sad empty gaze is still here and honestly it wasn’t a winning cover in December and it’s not one now. However, this cover is the least of Vogue’s problem right now. 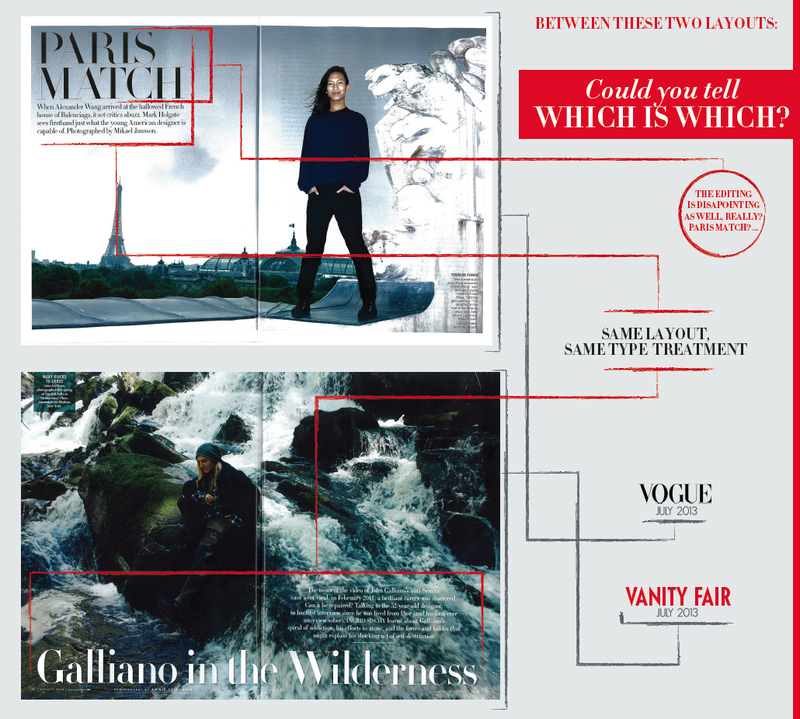 I’m not even going to mention the layout and graphic design from the spreads inside the issue…Ok well that’s a total lie… I have to mention that. 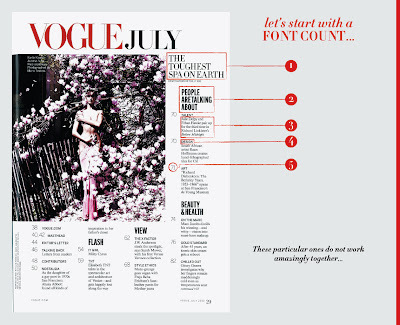 When I flipped through the magazine and saw…whatever the heck it was that I saw I’m still not sure, I had to look at the cover twice to check I was indeed looking at Vogue U.S, what does that say? 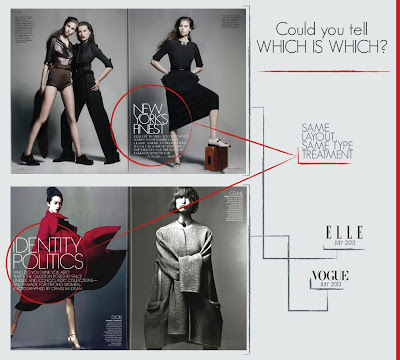 All I can add to conclude this post is this: What it particularly sad is that Vogue U.S is no longer a publication I can respect. All that remains of this magazine’s former glory is it’s name…and clearly that load is too heavy to carry.